Nowadays, there are a plethora of tools and apps available to use for tracking everything about the human experience. Smartphones, smartwatches, smart glasses, and other wearable technologies can log anything from steps to sleep cycles. Combine these personal analytics trackers with communications technologies and social media, and the result is a truly hyper connected world flooded with masses of consumer data points. While there are undoubtedly some negative implications that this “hyper-connectivity” poses for the human species, the ability to quantify the human experience offers great promise for businesses and marketers. This week, I would like to explore the phenomena now known as the “Quantified Self” and why brand marketers should seek ways to take advantage of personal trackers in their advertising strategies. Consumers now have the ability to measure their progress on almost any personal improvement endeavor. Moreover, advertisers now have the opportunity to use this new data to group together(aka segment) people that share common behavioral traits and personal improvement aspirations, and then deliver custom tailored ads via the segments’ preferred platforms. 1. 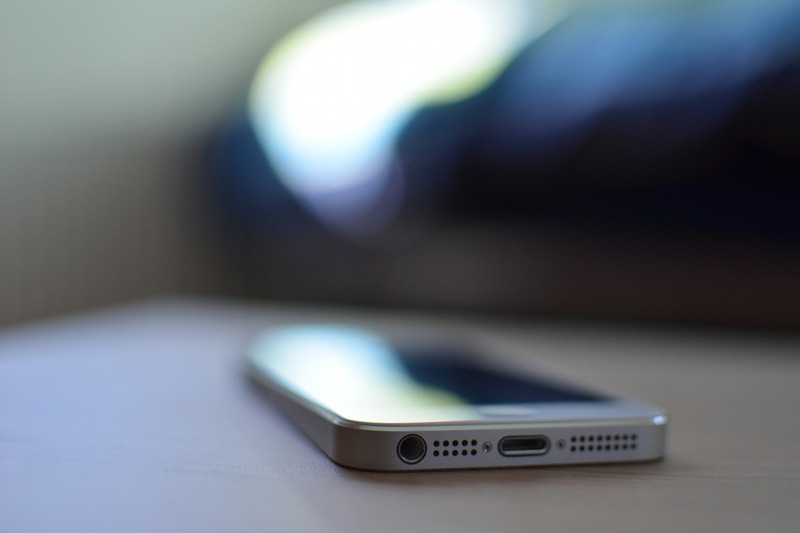 Quantified Self apps & devices can foster repeated consumer engagement and loyalty. People who are serious about tracking some aspect of their lives for the long run will repeatedly utilize the same interface to do so in order to ensure consistency. The tracker thus becomes synonymous with both progress and a range of activities in the minds of the users. These users in turn develop an affinity and loyalty to these trackers because it helps them visualize their progress towards their goals. Awareness of how and where your potential customers are repeatedly engaging with their preferred tracking interfaces could provide insight for creating marketing strategies with high potential to resonate with the right audience. 2. 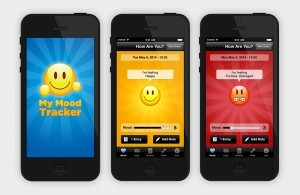 Quantified Self apps & devices help people improve themselves! There is a lot of truth to the saying that “you cannot manage what you aren’t measuring,” which is why personal analytics trackers have helped so many people achieve their goals. I use Mapmyrun on my iPhone to log my miles, and personally I get a huge kick from seeing my mile number rise and my pace time drop! Setting benchmarks helps people better themselves. Although I personally don’t share my run logs, peer pressure can also play a huge role in success when training. Many consumers compete with one another and share their successes via social features and sharing of personal analytics applications. How can your brand insert itself into your customer’s journey of self-improvement? 3. Brands can develop custom tailored advertisements using segmentation information obtained through Quantified Self Apps & Devices. While there isn’t currently a universal app or device for tracking everything about the human experience, consumer profiles that are developed through quantified self-apps have tremendous potential for micro-targeted campaigns. Brands that take advantage of inserting themselves into personal analytics will have the opportunity to capitalize on understood consumer behavior. For example, MyFitnessPal – a comprehensive diet and fitness tracker mobile app that can link to a variety of wearable devices – has the ability to segment its users based upon their weight loss goals, eating habits, and workout routines. It’s nutrition analysis capabilities could also help certain health brands deliver timely and relevant ads to those who are serious about losing weight through keeping a food and workout diary! Similarly, MapMyRun has a “gear tracker” feature in which users can associate a certain pair of shoes with different workouts, and the application will automatically inform the user when his/her shoes are most likely need to be replaced due to over usage – an opportunity for the most timely of ad deliveries! I’d like to end with one more quote from Mr. Cullen: “This [the quantified self movement] will transform consumers into walking, talking, data-generators”. While the task sifting through all of the personal analytics trackers to assess relevance and compatibility to your brand may seem daunting, the fact remains that the quantified self-movement is gaining in popularity. Hopefully these trackers will empower marketers’ efforts to understand the behaviors of their target audience! MapMyFitness offers a wide array of physical activity tracker apps that can all connect to provide users with a comprehensive tool to measure their progress towards various fitness goals. Within the MapMyRun/Ride/Walk/Hike apps, users can track their own routes or choose from a database of pre-planned routes to guide their workouts. It also lets users associate their fitness gear with workouts to track wear and tear! Although MapMyRun has a food log, MyFitnessPal’s food diary allows users to search through a database containing a plethora branded food items – each with up to date nutrition facts – to log what they eat! Moroever, MyFitnessPal connects to a variety of outside apps (MapMyFitness included) and factors the amount of caloric burn per workout into a comprehensive nutrition and fitness tracker. Specifically designed to take advantage of the iPhone’s accelerometer, Sleep cycle will track your sleeping patterns and wake you up when you are in the lightest stage of sleep – thus easing the transition into wakefulness. How Happy are you? 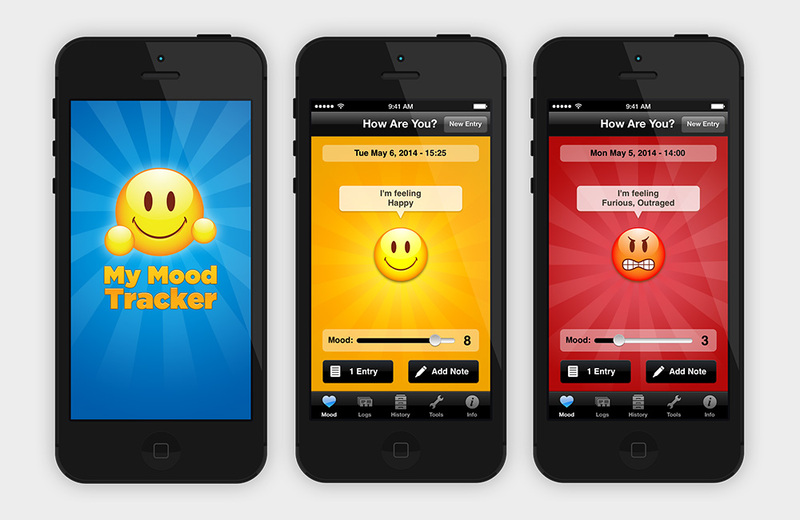 What contributes to your mood? My Mood Tracker seeks to help you answer these questions by allowing you to record your mood based on a 1-10 scale of Happiness. You can also record notes and information about other contributors to your mood such as energy, sleep, caffeine intake, medication, and more. Originally designed to be an app aimed at helping people develop better habits, Lift has evolved into a comprehensive daily coaching platform in which users track progress for an incredibly wide range of standard and custom goals/activities by checking into them. The app also seamlessly links select goals with video tutorials, supportive online communities, and coaching advice to give users everything they need to make their desired life improvements come to fruition. Lift goals can range from flossing and eating healthy to yoga and maintaining a clean workspace.